MANILA, Philippines – Remember Alfonso “Fonzy” Ledesma? The boy-next-door character from the hit 90’s teen series Tabing-ilog. It was a decade-and-a-half ago since it had first aired. Admit it, Fonzy is one of the hearthrobs for the yuppies of that era. 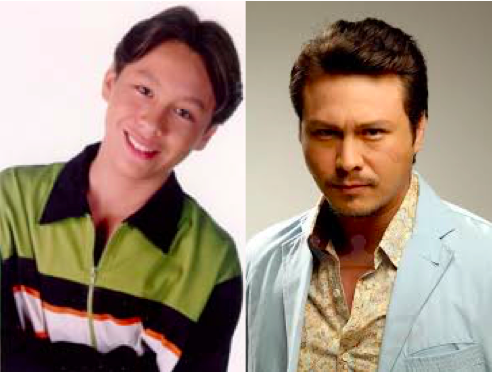 But after the show’s last episode, Fonzy’s good boy image, who was portrayed by Baron Geisler had just vanished. The young Baron and the present Baron. Nowadays, the word “beast mode” often pertains to one’s extreme expression of anger which was invented by the social media hipsters. The funny thing here is, whenever there are memes intended for madness and brawls, the photos of Baron Geisler are always upfront. From boy-next-door to temperemental image, that’s how modern teenies describe Baron. Geisler, a confessed alcoholic, has been in and out of the rehab since his father passed away in 2002. Along with alcoholism, he has also been involved in numerous altercation on and off the camera. The previous one was in July 2015 when he challenged the bouncers, guards and everyone inside the Skytrax Superclub in Angeles City in a fist fight. His scandal was captured in video and went viral. Despite of the negative reactions and criticisms that Baron received from the concerned netizens and showbiz colleagues, he refused to change and maintained his bad-boy image instead. Just this morning, another video scandal was uploaded and currently circulating in all social media platforms showing Geisler going berserk in front of students and trying to pick-up a fight. A certain Khalil Versoza, narrated the story behind the scandal. Versoza, a fine-arts student in UP detailed that he and his classmates had a school production and contacted Baron Geisler to star the prod in exchange for an un-disclosed talent fee. Versoza admitted that there was a delay in handing the script over to the actor so when they all met at the taping vanue, Baron started to cuss and blamed everyone for the inconvenience. He vented his ire towards Versoza’s group and went wild and amok. The 60-seconder video ended with Baron choking the guy in red. It is still unclear wheter the former matinee idol turned action star is drunk in the video. Definitely, this is not the first time that Geisler got into a fight. The netizens are now starting to question him if he’s into illegal drugs or alcohol addiction once again. But it’s very clear that Baron has violated the law for attacking the students. Many say that Geisler is really out of his mind and went below the belt for picking on the students. Some doubt the veracity of the video. Since this is all about school production, it could be social experiment or even part of the actual production. As of publishing time, both Versoza and Geisler have not given any further comments on the video. Should this be proven true, the students can file a criminal case against the actor. Also, should the involved students are below 18 years old, Geisler can be accused of child and minor physical abuse which is a criminal case in the Philippine law i.e. Republic Act 7610: An act providing for stronger deterrence and special protection against child abuse, exploitation and discrimination, and for other purposes which is punishable by six to twelve years of imprisonment.